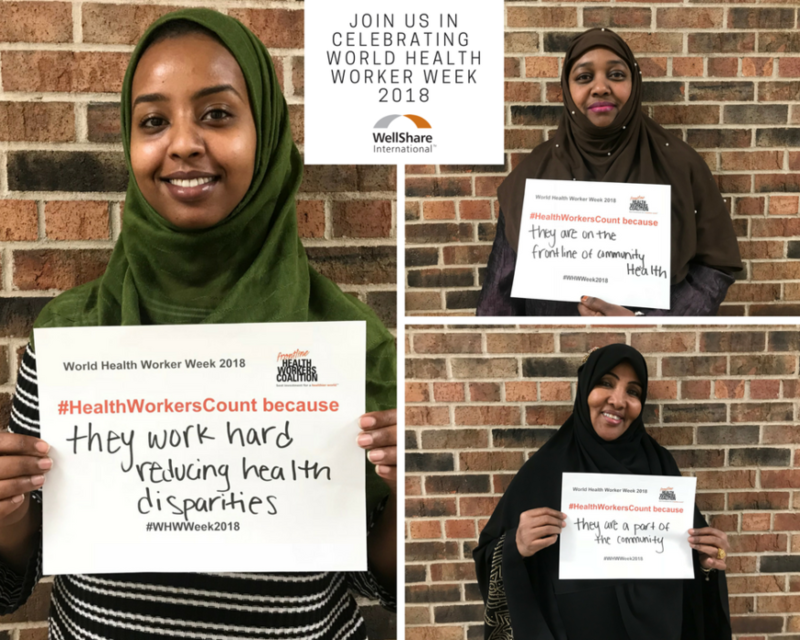 It’s World Health Worker Week! Every day, health workers such as community health workers, midwives, nurses and other people working on the community level, make a difference and save lives all over the world. WellShare’s Community Health Workers (CHWs) here in Minnesota and our Village Health Team members (VHTs) in Tanzania and Uganda make it possible for people to receive the health care and information they need. In East Africa, health care providers are nearly nonexistent in rural areas. The health workers we train and supervise provide culturally appropriate basic health services that reduce mortality, prevent childhood diseases, promote safe, wanted pregnancies, and connect isolated individuals to clinic services as needed. Read about Justin Akol and Caroline Ikoba, who share their inspiring experiences and motivations working for WellShare International in Uganda. Here in Minnesota, our Community Health Workers work primarily with immigrant and refugee populations on the health needs of the community. They work with and within their communities to connect individuals to the U.S. health care system. Our community health workers are trained to provide a range of health services, including the promotion of a tobacco-free lifestyle, nutrition education, prevention and management of chronic diseases, family planning and reproductive health education, promotion of healthy lifestyles among youth, and skills for immigrants/refugees to navigate the U.S. health system. Read about Saida’s work at Smiley’s Family Medicine Clinic or learn more about Fatima and her story about living in a refugee camp. WellShare is recognized as an expert in the recruitment and training of community health workers. In our 39-year history, we have trained over 6,000 community health workers – an evidence-based approach for reducing health disparities – and our health education materials are used by health providers around the world.